Diabetes ranks as one of the most common illnesses in the United States, and is fast becoming one of the major causes of fatalities thanks to the upsurge in obesity and a national decline in the general state of health. How much do we as a nation know about this potential killer, and what are our chances of becoming diabetic? If we do contract this illness, what are our chances of finding comprehensive life insurance for diabetics? There are currently 18.8 million diagnosed cases of diabetes in the United States, with another 7 million predicted undiagnosed cases (8.3% of the total population). This figure has been growing steadily each year thanks to common modern day lifestyle choices, such as an unhealthy diet and lack of exercise. It is predicted that 79 million living citizens will have contracted the disease in the course of their lifetime. Figures show that men and women are equally as likely to suffer from the disease. Complications arising from diabetes can include heart disease, stroke, nervous system damage, kidney disease, and in some cases may necessitate amputation. It is the major cause of blindness in adults between the ages of 20 and 65 years. The disease has a prevalence of nearly 7%, with the highest counts in the western pacific, predominantly the United States (over 10%) to just below 4% in the African continent, although this is expected to increase quickest. Developing countries have a diagnosis rate of under 50%. Without proper treatment, many of these people will die or suffer irreparable complications from diabetes. Patients who are also cigarette smokers are eleven times more at risk of suffering a fatal heart attack or stroke. As grim as this sounds, with an early diagnosis and the correct course of treatment, diabetes can (even in its most severe form) be successfully treated. It is therefore necessary that you know the facts and are aware of the dangers, and also that you get regular checkups from a medical professional in order that they can monitor your condition and look for changes in your physical state. When you have your condition firmly under control, you may want to take some time to consider life insurance for diabetics. Type 1, once referred to as insulin dependent diabetes: This is where the body does not make insulin (the hormone that controls the metabolism of fat and carbohydrate in the body). 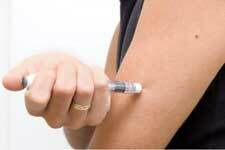 The type 1 diabetes sufferer must take insulin every day to sustain a normal physical condition. Type 2, once referred to as non insulin dependent diabetes: This is where the body isn’t good at producing insulin. It is by far the most common form of diabetes at around 90% to 95% of all diagnosed cases. Gestational diabetes: This is a condition that affects women in the later stages of pregnancy, causing them to produce abnormal amounts of blood glucose. 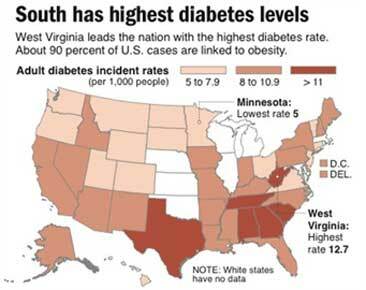 It often occurs to those who aren’t normally diabetic, and can lead to complications at birth. Diabetics can be denied life insurance on the grounds that they are likely to claim on their policy at some point. This is a concern amongst the diabetic community, as it leaves their future uncertain and adds extra stress to an already difficult situation. This is plainly unethical and morally unjust, yet it is allowed by law and thus insurance firms often refuse to take the gamble. We at BeyondQuotes.com believe this is plainly wrong and at odds with the principles of insurance. This is why we offer guaranteed-issue life insurance, including quotes for those suffering from a pre-existing medical condition. Regardless of whether you have had a medical condition, such as diabetes, cancer, heart disease or any condition that could possibly see you denied life insurance, we will insure you. This is our guarantee!